There are videos telling how to set up Motion. Just do what they say. Original poster asked for easy configuration (cf. https://forum.mxlinux.org/viewtopic.php ... 05#p444605). This most likely excludes cumbersome Motion configuration on a command-line basis. See information on Motion GUIs here: https://forum.mxlinux.org/viewtopic.php ... 36#p460136. I used motion for 2 years in my computer shop running up to 3 cameras. Don't know what people are referring to with command line, almost everything can be done by simply editing config files in place through Thunar and a regular text file. Only real issue I had was I forgot to set the PC up to use local time and all my recordings were 12 hours out when I had to find a recording, which was only 3 times in 2 years. I set up a motion.conf based on the two videos. I thought it was very clear. This was in 2015 and I never tried it out but still have the file. I want to get a couple of security cameras to monitor my home and connect them to my MX Linux 17 box. (...) With that said, I'd like some advice/suggestions on security camera's with good image quality? Some people consider the Apple iSight (A1023) external Firewire camera to be an all-time classic, and a very good camera, so I did some thorough research on it. Maybe what I found out is of some use to some of you. Seems that this camera has been introduced in 2003 (cf. https://en.wikipedia.org/wiki/ISight), and has received at least one design award. Great design, at least as far as the camera itself is concerned (the original plastic mounts look cheap). Has a built-in LED ("on-air light") that indicates recordings (a feature many webcams don't have). 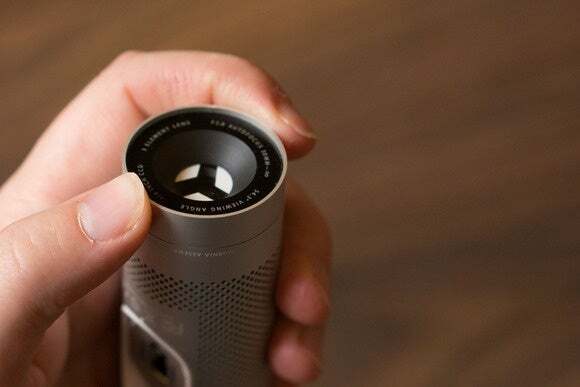 Has a built-in cover (also known as "shutter") (see https://images.techhive.com/images/arti ... -large.jpg) (a feature many webcams don't have). Low price (serious offers start at approximately USD 20.-). Low resolution, would result in low bandwidth consumed. Low 640 x 480 resolution (cf. https://www.cnet.com/products/apple-isight/specs/). In order to use this webcam, it seems as if one might have to juggle with proprietary binaries (cf. e.g. https://help.ubuntu.com/community/Macte ... ppleiSight, last edited 2012-01-03). In case this is true, one would have to check whether this would raise legal issues. Little information on using the A1023 camera with Linux-based systems is available. It cannot be found in popular Linux hardware compatibility databases. Apple decided to name various later built-in webcams iSight, too, which increases confusion here and makes research even more difficult. Low maximum operating temperature (35 °C = 95 °F), and low maximum storage temperature (45 °C = 113 °F) (cf. "iSight User’s Guide" online PDF, as of 2004, on Amazon) – might not be enough if you live in California, Arizona etc. All mounts optimized for specific Apple products. Apparently no wall mount available from any third-party supplier (or has anyone ever seen one?). You might divert the iSight's "flat-panel display and flat-panel iMac mount" from its intended use. However, that one has an adhesive backing (which might not be o.k. in the first place any more) only, so either your wall would have to be extraordinarily smooth, or you'd have to drill holes into the mount (otherwise you couldn't use screws). Original "eMac and desktop mount" relies on adhesive backing, too (which, again, might not be o.k. any more anyway). Tilt angles and swivel angles seem to be rather limited. Does anyone know the maximum angles? All in all, given this camera's low price, it might be worth checking whether contrary to expectation this camera works with MX-17.1 out-of-the-box. It has some pretty good features, plus a few that only rarely can be found in presumably more modern consumer webcams. And it doesn't look as ugly as most cameras that might be used for indoor surveillance. Retrospectively I'd say that while the people who developed this camera did a very good job in some aspects, the final product could have been even far better without much additional cost. I want to get a couple of security cameras to monitor my home and connect them to my MX Linux 17 box. (...) ... I'd like some advice/suggestions on security camera's with good image quality? As an outdoor camera, you might consider using an analog CCTV camera. This has been and maybe still is the professionals' choice in many places (correct me if I'm wrong). In any case you'd need some analog-to-digital-video module in order to get its signal into your PC. You could use a coaxial cable, which - according to some people - would enable you to use a cable length of up to 750 ft (= 228,6 m). In case you need more, seems as if you could send the analog signal via a standard Category 5 cable or Category 6 cable (twisted pair "Ethernet cable"). In this case, you'd apparently need two baluns (https://en.wikipedia.org/wiki/Balun) for each connection. Finally, the probably most advanced solution would be to use a fiber optics cable instead of a coaxial or "Ethernet" cable. Using fiber optics, you can apparently transmit your signal over several miles, and you wouldn't run the risk of having electromagnetic interferences from the cable that might collide with your stereo or whatever. However, in this case you'd need to have an analog-to-fibre-optics adapter and a fibre-optics-to analog adapter. Seems that when using analog CCTV cameras, the cable's resistance has to match the length of the cable connection (please correct me if I'm wrong). Don't know whether b. or c. would require extra power supplies for the baluns / adapters. Don't know if analog CCTV cameras can do without an extra power supply. As you see, that's a lot of questions. As long as USB or Firewire cable length is sufficient for you, USB or Firewire would probably be the easiest to do. USB 2.0 high speed maximum cable length: 5 m = 16 ft 5 in (cf. https://en.wikipedia.org/wiki/USB#Cabling). Can be extended e.g. up to 10 km (see, for example, icron's "USB 2.0 Ranger 2344 Four-port Singlemode Fiber 10km extender" (http://www.icron.com/products/icron-bra ... nger-2344/). Standard Firewire maximum cable length: 4.5 m = 15 ft. Can be increased by using fibre optics, see e.g. Newnex's "FireNEX-MX" kit (https://www.newnex.com/FireNEX-MX.php), which promises up to 500 metres. Personally, I guess I'd prefer a purely digital solution (meaning II. ), as I'd suppose that it would require a lesser amount of special knowledge. Please let us know what you finally bought. The characteristic impedance of the cable (and the connectors) should match what the camera is expecting. Nearly all video equipment that has a coaxial output uses 75 ohms which matches to RG-6 or RG-59 cable - regardless of the length of the run. RG-8 & RG-58 are 50 ohm cables, usually used for radio transmitters (and receivers although a mismatch is less critical for those). The loss of signal strength in the cable run is the limitation on distance. Your 750ft run of RG-6 will lose about 1.5db (about 1/4 of the strength) of composite video. Losses are also proportional to the frequency, so if the video has been modulated onto a channel 3 RF signal the loss would be around 10db. A long run of composite video needs to have a high quality cable and connectors because there's a lot of electrical noise down at the low frequencies that can distort and/or disrupt the video. Think how a lightning storm or driving by an arcing transformer makes AM radio unlistenable while FM radio & Analog TV was nearly unaffected by it.